The agreement, signed at the last year's Arctic Council ministerial meeting in Fairbanks, is aimed at making scientific collaboration across borders easier. 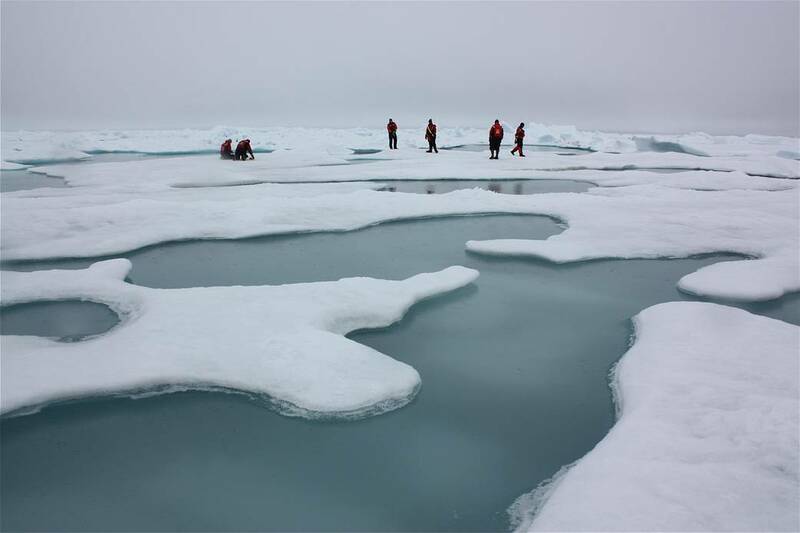 An agreement among Arctic nations to cooperate on scientific research will go into effect on May 23 and, officials hope, make it easier for scientists to understand what is happening at the top of the planet. The Agreement on Enhancing International Arctic Scientific Cooperation was signed a year ago during the Arctic Council’s ministerial meeting in Fairbanks, the event that capped the two-year U.S. chairmanship of the eight-nation organization. The science agreement was among the accomplishments of that U.S.-led term and it was touted as an example of how the Arctic nations can work peacefully on issues of mutual interest. Notably, it was a project on which the United States and Russia, despite sharp differences over other geopolitical issues elswhere, worked together amicably toward a common goal. In a statement released by the Arctic Council, a top Russian official said the agreement shows how the Arctic Council members are committed to environmental protection, and his government is enthusiastic about working across borders on scientific projects. “This agreement facilitates scientific cooperation beyond national borders, and it paves the way for joint responses of the Arctic States to new challenges in the region caused by global climate change and increased human activity. Russia welcomes the entry into force of this agreement and intends to be an active participant in international Arctic scientific cooperation,” said Russian Senior Arctic Official Vladimir Barbin. Barbin co-chaired the task force that produced the scientific agreement. On a more practical level, cooperation across borders is expected to bring efficiencies to research efforts in a region that is known for its harsh conditions, vast distances and high costs. The agreement addresses access to data, protection of intellectual property, access to infrastructure and facilities and scientists’ travel, among other issues. It cites the “urgent need for increased action to mitigate and adapt to climate change,” and it also encourages the use of traditional and local knowledge when scientific activities are planned and carried out. The agreement will be celebrated at a meeting this week in Greenland of officials from the five nations with territory directly on the Arctic Ocean — Canada, Russia, the United States, Norway and Denmark/Greenland. The meeting in Ilulissat is not specifically an Arctic Council event, but the participants are Arctic Council members. Other business at the meeting could include the signing of a fisheries agreement to protect the Central Arctic Ocean.